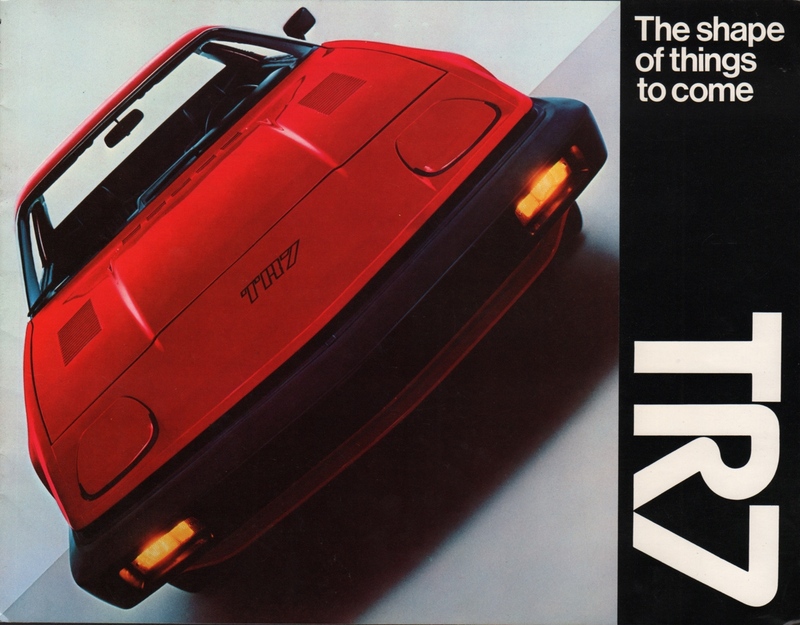 Sales brochure for the 1976 Triumph TR7 for America. Under the hood is a 122ci 4-cylinder engine. Exterior color options are listed as Maple, Carmine, Topaz, Pimento, Mimosa White, French Blue, Delft, British Racing Green, and Java. We think this is the sales brochure for the 1976 model line. The printed code for this brochure is TR753. Brochures are presented for research use only. Company marks, emblems, and designs are trademarks and/or service marks of Triumph.